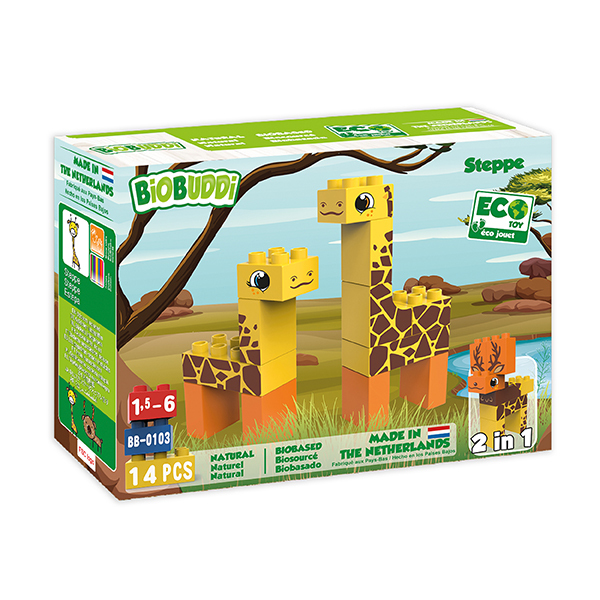 2 in 1 – Build the Giraffes or Deer. 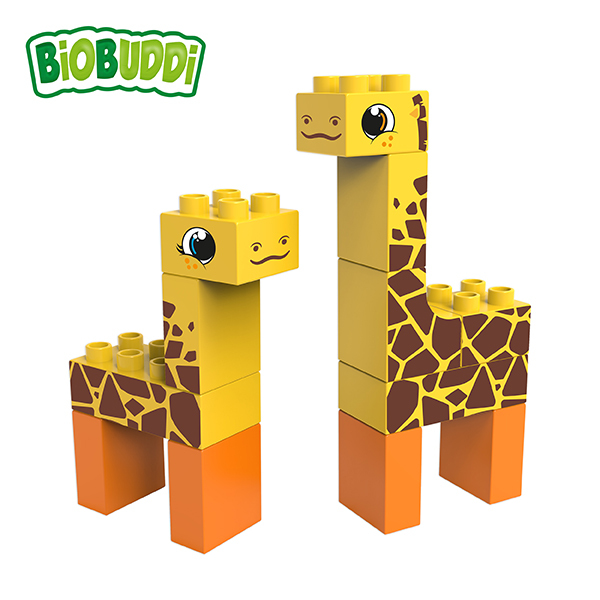 Giraffes are the tallest animals living on the land, a male can be up to 5 meters tall, with its long legs and neck it can reach leaves from high trees and eat them. Giraffes have horns on top of their head but they are small and blunt. The horns on the head of deer are much larger. These are called antlers. Deer use their antlers to attract females. The female deer is called a doe. You can tell the difference between a deer and a doe by its antlers, doe have much smaller antlers.